Jingle bell jingle bell rock~ Now, everyone can rock their Christmas with Benefit's 2013 Holiday Collection! Red Velvet Cake in lollipop anyone? A jolly Christmas is all about sweet treats and fun Christmas activities! Guess what? Benefit not only treated us with yummylicious treats but also letting us girls to create our favorite holiday look edition with Benefit cosmetics. 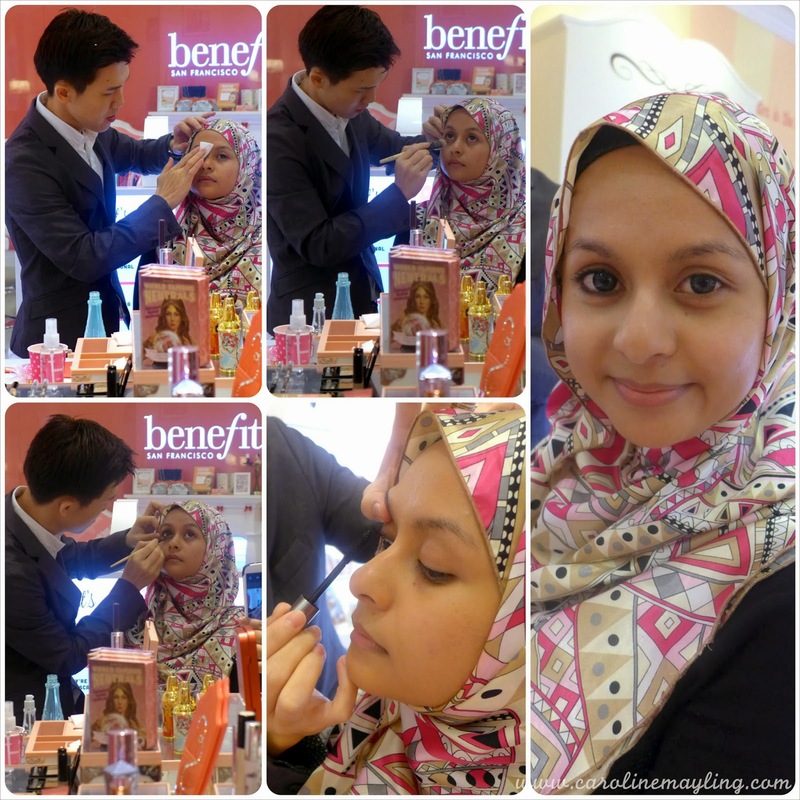 We were all invited and gathered at Benefit Boutique at Sephora Starhill for the fun girls day out with Benefit cosmetics. Spot the happy Illy! 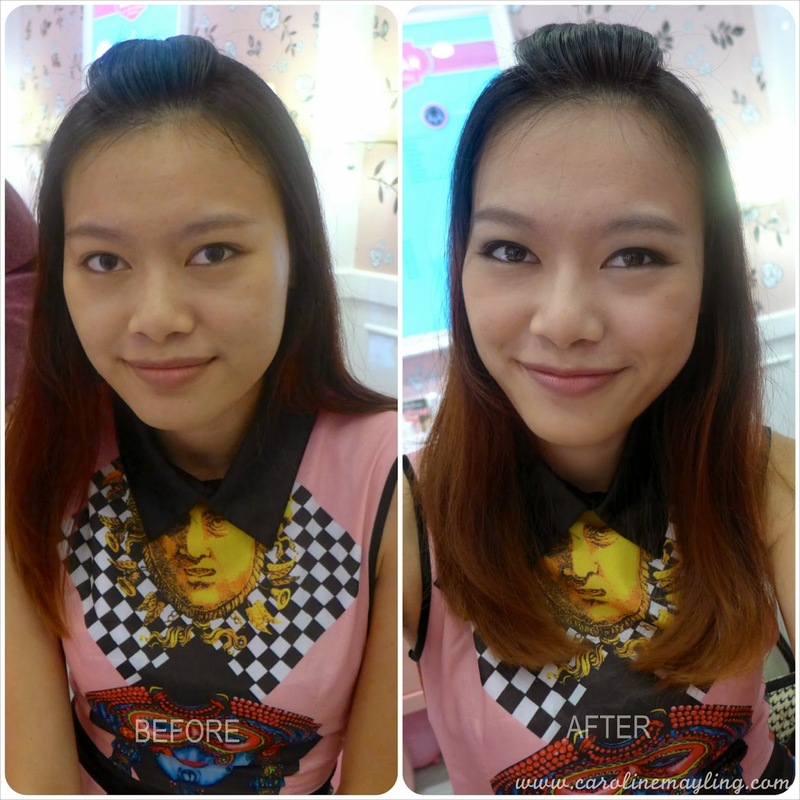 James, the amazing makeup artist showed us a demo on how to get that simple yet glam holiday look on adorable Sabby! Not to mention on the useful tips on how to ensure our makeup last longer too. James only did half of the makeup and we were all surprised with the mini Instagram contest on Holiday Look with Benefit Cosmetics! We were all need to create a holiday look with any Benefit cosmetics in the boutique in a given time frame. Ayna offered to create a look on my naked face and look at the transformation on my look above. I love how my eyes defined in mild smoky effect and how the blush color made it somewhat natural on this look. Well, I believe we can do better with longer time given. A flawless foundation and concealing process would enhance the look as well as the correct lip color, I guess. Congratulation to Reiko for winning the contest! Her holiday look definitely looks amazing and perfect to rock the Christmas! 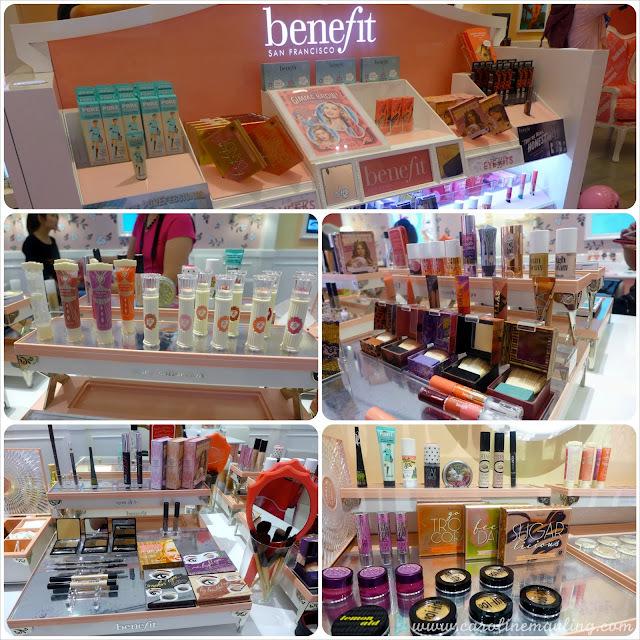 Do check out for all the Holiday Collection by Benefit cosmetic this year! They look so amazing in packaging and awesome stuffs inside too!